Fear, awe, love of G-d, as we feel closer we realize just how far away we are. 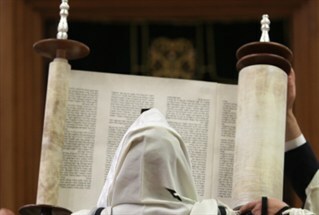 What then is the essential nature of that holiness that G-d demands of us? Holiness can best be described as a state wherein one has never felt closer to G-d while at the exact time one is confronted by how far one truly is from Him. When the finite moves closer to the infinite man begins to understand how finite he is. It is a delicate balance between “fear or awe of G-d “ and “Love of G-d”. How is such a delicate balance maintained? The parsha of Acharei Mot begins with an ominous reminder. "And Hashem spoke to Moshe after the death of Aaron's two sons, when they drew near before the Lord, and they died.”(Leviticus-16:1). We repeat at least twice daily ,the words "And you shall love the LORD your G-d with all your heart, and with all your soul, and with all your might. "(Deuteronomy 6:5). Yet as we saw with Nadav and Avihu, all encompassing love with the Infinite can become a risky and dangerous endeavor. We could have tried to explain that perhaps that these two sons of Aaron had acted in an arrogant and unholy fashion before G-d. Yet this does not fit with the words "And Moses said to Aaron: "This is it that which G-d spoke, saying: I will be sanctified in those who are close to Me..." (Leviticus 10:3). Nadav and Avihu were close to Hashem! Yet as we clearly saw, closeness to the Infinite Divine without boundaries and limits can be all consuming . "For Hashem your G-d is a consuming fire" (Deuteronomy 4:24). The word levaker means to contemplate but it also means to visit. The hassidic masters ask" If King David was asking to dwell in the house of Hashem all the days of his life,why would he also ask to visit His Temple every morning? They respond that what King David was truly asking for, was to dwell before Hashem's Presence all the days of his life, but to never lose the awe of a visitor. The prophet Yechezkel declares "When the populace comes before Hashem on the appointed days, whoever comes in by way of the northern gate [of the Temple] to prostrate himself shall go out by way of the southern gate, and whoever comes in by way of the southern gate shall go out by way of the northern gate. He shall not return by way of the gate through which he came in; rather, he shall go out opposite it. "(Ezekiel 46:9). 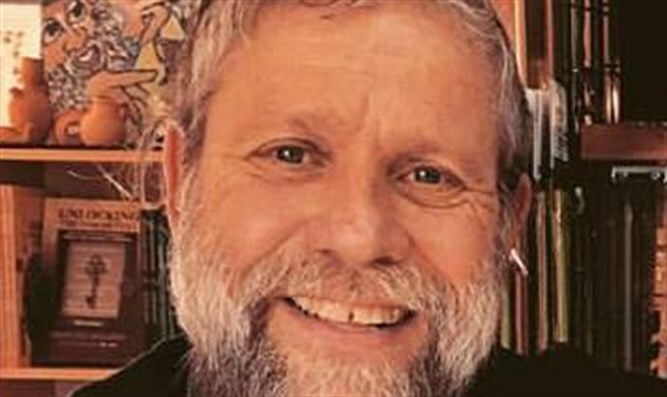 Rabbi Chaim Shmuelevitz explains that the visitor may become so familiar with the gates of the temple, that he equates it with the gates of his own house. Familiarity can diminish awe. Therefore Hashem says ”And now, O Israel, what does Hashem, your G-d, demand of you? Only to fear Hashem, your G-d, to walk in all His ways and to love Him, and to worship Hashem, your G-d , with all your heart and with all your soul"(Deuteronomy 10:12). Begin with fear and awe because otherwise love of G-d without fear of G-d can easily become love of self. The Divine sadly becomes the means rather than the purpose. Therefore King David writes “The awe of G-d is the beginning of wisdom" (Psalm 111:10 ). King Solomon re-iterates " Now all has been heard; here is the conclusion of the matter: Fear G-d and keep his commandments, for this is the whole of man"(Ecclesiastes 12:13). Fear of G-d without Love of G-d simply becomes fear of punishment. How then do we maintain the desired balance? King David offers the answer; "The awe of G-d is the beginning of wisdom (Psalm 110). The more we understand the awesome reality of Hashem's existence , the more loved and loving we feel as we begin to be aware of the role and purpose He has allocated in our lives. Perhaps it can be understood in the following way. "Know that I am the Infinite and holy G-d . When you truly know that , then you will find your place within the infinite and holy plan.